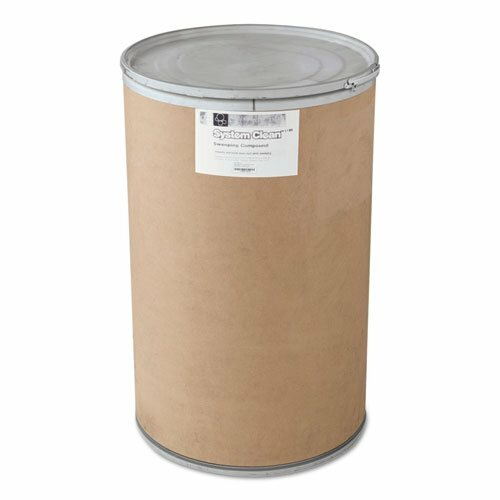 Grit-free sweeping compound is non-abrasive, making it safe for use on any floor. Perfect for collecting dirt and dust on all types of floor. Helps clean without scratching. Ideal for use in large spaces like stores, warehouses, churches, restaurants and schools. Application: All Floors; Applicable Material: Concrete; Terrazzo; Tile; Wood; Chemical Compound: Non-Sanded; Oil-Based; Dirt Types: Dirt; Dust; Liquid Spills. Excellent on all types of flooring. Ideal for use in warehouses, churches, restaurants, factories and schools.